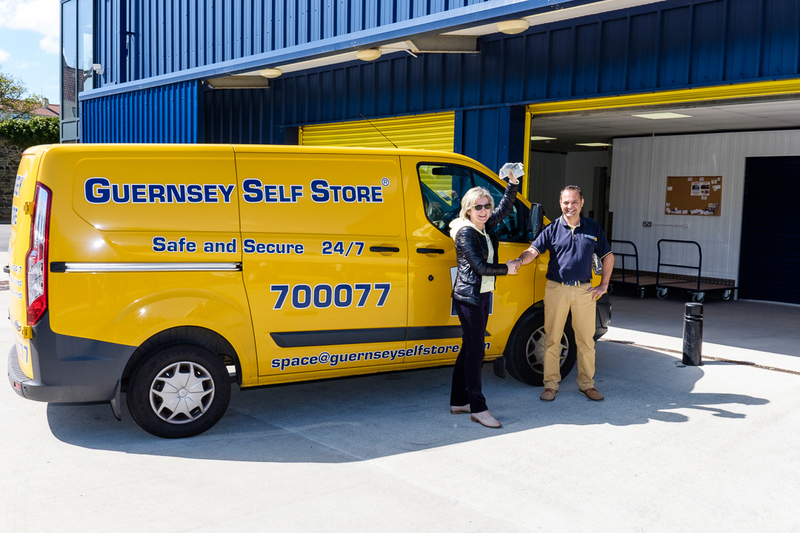 Last month we ran our ‘Spot The Van’ competition to celebrate the launch of our new, bright yellow Guernsey Self Store Van. We now provide a service to our new customers who need help moving larger items to our self store. We offered £100 to the person who took the best photograph of our new van and congratulations to Anita who joined us recently at Guernsey Self Store to claim her £100 cash prize.